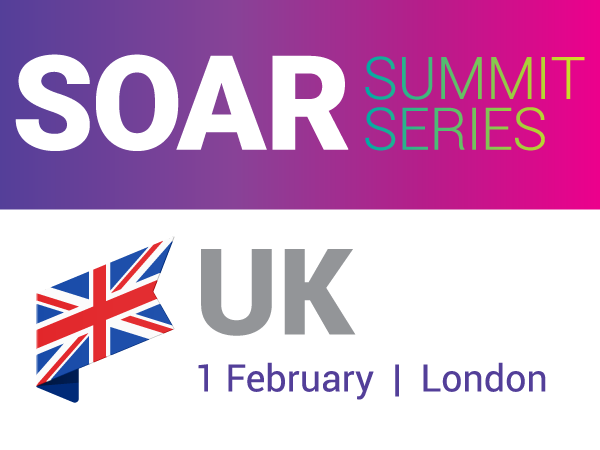 Join us for SOAR Summit UK 2018 in London, England. The event is a condensed regional customer conference designed for the UK BluJay community. In true fashion, this first-of-its-kind customer event will be hosted at the beautiful Tobacco Dock, located in the heart of London. This premier Grade I venue is known for being one of the capital’s most technologically advanced IT infrastructures, making it the ideal space to connect with fellow BluJay customers, partners, industry experts, and the BluJay team as we enjoy a day-and-a-half event covering the latest tech trends and supply chain solutions. Blockchain: Today or Tomorrow’s Technology? Guests are invited to stay through the evening to enjoy fine dining and a magical night of entertainment from technology magician and digital illusionist, Keelan Leyser, during our networking reception. This event offers the greatest value to help innovate your business and prepare you for future trends and best practices. Join us 31 January – 1 February in London, England, to experience this first-ever regional event designed for the BluJay community. Visit our Events Page to view the full agenda and register, or to find a SOAR event near you. We look forward to seeing many of you there!